It's a Joy to Work With Us! I feel very confident about Joy Automotive keeping my car in tip top shape. I appreciate that they alert me about up coming concerns to watch for as I have a very old car that I rely on. We take all our cars to Joy Auto. They always provide a clear explanation of the work that needs to be done. The team is respectful and great to work with. I was referred by a friend to take my car to Joy?s. Since relocating to Santa Monica I was searching for a good mechanic. I found them! Joy Automotive Service has always provide the best and the fastest service in our company vehicle. Staff is knowledgeable and they are ready to answer any question you may have. Sergio at Joy Automotive is so great to work with. He responds quickly and very upfront with the repairs and costs of repainting your vehicle. I trust Joy Automotive and will keep bringing my car back for service. The best! I recommend them to everyone I know. So honest, always do a great job, thanks Joy! We have been taking our Prius to Joy Auto for years now. The team is great, reliable, affordable and honest. Unlike the Toyota dealership that we initially used for the 2 years "free" maintenance, Joy Auto never finds things that need to be fixed. Sometimes they have suggestions for things we should consider, but I have literally never felt like I'm being hoodwinked in their care. It's the best place for car maintenance on the Westside!!! Joy came to me highly recommended by a picky friend who has been their client for years. By now Joy Automotie Service and Repair has done 2 major apparently successful services on my old but great car. Beside the technical, their customer service has been tops in every way from clear communication, clean work environment, accurate time prediction, and reliable estimates. I have recommended JOY to all my friends. Joy Automotive has always done an excellent job with repairs to my car. I have used them for years and highly recommend them as they are honest, stand by their repairs, are AAA recommended, and do great work! Staff thoughtful, helpful, knowledgeable. Repair was explained and work done at a fair price. Staff always follows up after service to make sure all is okay. And car is always returned freshly washed. Highly recommend. I love taking my car into Joy Automotive! Everyone there is super helpful, friendly and most of all honest. They are always upfront about what your car needs, their service is prompt and they usually throw in a car wash. So glad I found this gem in Santa Monica!! Took my car for an oil change. They took a while but because they had a load of cars to take care of first! Great service. Definitely coming back to fix my other car. I liked their car wash service too!! It needed a wash so badly. 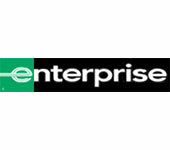 The guys here are super helpful, they always explain things thoroughly, and provide different options based on your needs. Also, its usually possible to get work done same day if you drop your car off early enough. So easy and convenient! I won?t go anywhere else besides to get my car serviced. Joy has the best, most knowledgeable and honest guys in the auto business. I recently took my car to another auto shop in the Valley, who did an inspection and failed to figure out that my break padding was dangerously low. Thank goodness I went to Joy for a random oil change shortly thereafter, and they let me know about the breaks. I called 6 different shops for a quote to get my breaks redone, and Joy had the best pricing! 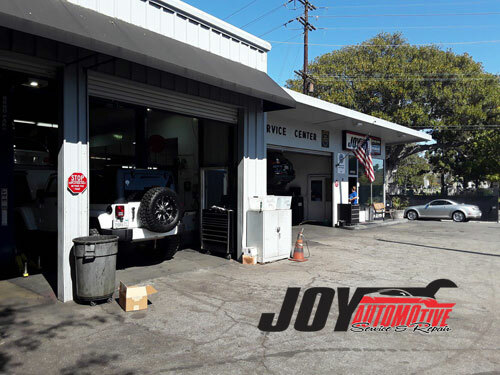 I began taking my vehicles to Joy Automotive on a recommendation after moving to the area a number of years ago. From my very first visit, they have consistently treated me better than anywhere else I have ever gone. First and foremost, they know their stuff - top notch mechanical work is all they do. But, you'll also find them to be extremely polite, professional and NO ONE will ever take more time to discuss the issues and offer options that get you back on the road anywhere near their price. To say I am extremely satisfied with their work and what they charge would be an understatement. If you have issues with your vehicle, take it to Joy and ask for Jessie. You will not be disappointed. These guys ROCK!